DEGO Dego & The 2000 Black Family vinyl at Juno Records. 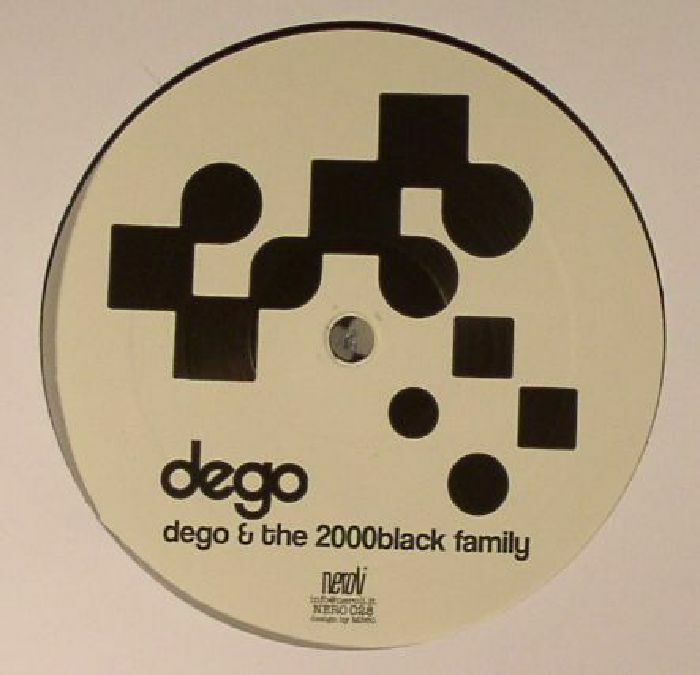 Assisted by long-time studio partner Kaidi Tatham, former 4 Hero man Dego's been on fire of late, delivering killer singles - and a fine album - for the likes of Eglo and Rush Hour. Here he pops up on Neroli again with more superb, soul-flecked dancefloor fare. 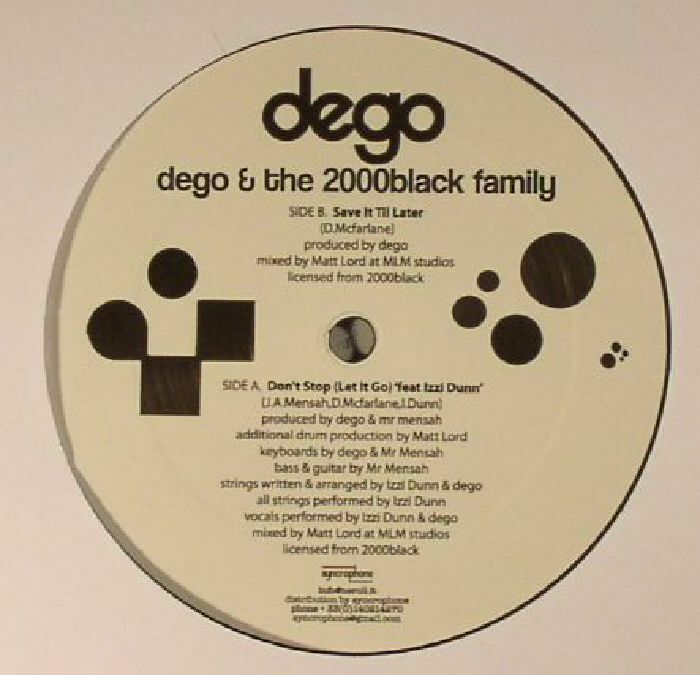 "Don't Stop (Let It Go)" is particularly potent, offering a disco and jazz-funk influenced chunk of celebratory deep house laden with thrilling live instrumentation from members of "the 2000 Black family" (Tatham and others, basically). He completely flips the script on "Save It Till Later", a refreshingly rough and ready chunk of bass-heavy, acid-flecked house/techno fusion that benefits greatly for some particularly warped electronics. Darkness and light on one 12"; what's not to like?